1) The construction, renovation and upgrading works of SJBA Vihara is almost complete except for the sewage treatment plant. The ground floor toilets will also be refurbished soon. Final touch-up, rectification and clearing works are still in progress. Devotees are reminded to be mindful of own safety when inside the Vihara’s compound. Our Sunday Dhamma School will reopen on 9th April 2017 for existing students. New Students will also be registered on the same day. 3) In conjunction with Qing Ming, SJBA is organising a Pattidana on 9 April 2017, 8am to 11am, to dedicate merits to the departed ones. Pattidana is for the benefit of those departed relatives and friends who may have been reborn in certain unfortunate state of existence. When they are aware that their relatives or friends have performed some meritorious deeds dedicated to them, they can be relieved of their suffering. When they rejoice repeatedly, their unhappy birth will be transformed to a happy one. 4) This Sunday Dhamma Talk (26/3/17, 10.00am) on “Realities of Stress” will be given by Bro Billy Tan. Bro. Billy Tan is a Professional Trainer and Business Development Consultant who has trained countless corporate executives and business professionals in more than 20 countries over the past three decades. Bro. Billy is a Certified Master Practitioner of Neuro-Linguistic Programming (NLP), as well as being certified by the International Association of Counselors and Therapists, USA, in Clinical Hypnotherapy. In recent years Bro. 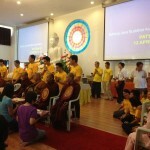 Billy has conducted several professional training programs for resident and visiting Monks at the Buddhist Maha Vihara, Brickfields, in the areas of Emotional Intelligence, Communication, Professional Presentation, Public Relations, Community Services, Leadership, and Management. 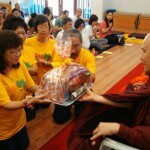 In sharing the Dhamma, Bro. Billy researches discoveries from the fields of Neuroscience and Psychology to present teachings of the Buddha from a scientific perspective. 1) SJBA is organizing the Introduction to Buddhism course from 6 March to 24 April 2015. The course will run for 8 consecutive Fridays from 8.30pm to 10.00pm, conducted by Uncle Vijaya, Dr. Chan Kah Yein and Datuk Charlie Chia. All are welcome. Please contact Sis Lily at 03-56348181 for further details. For this Friday (3 April), the topic is “The Truth about Life” by Dr. Chan Kah Yein. On next Friday (10 April 2015), the topic is “Highway to Happiness” by Uncle Vijaya. 2) SJBA’s building extension (a new 4-storey block with basement) has officially commenced works on 8 March 2015. Amongst various ways to raise funds for the construction of the new block, SJBA has an on-going “Donate a Brick” campaign. Each brick is RM100. The donors can write their name and sign on the bricks which will be used for the construction of the new block. For further information, please call Sis Lily at 01-56348181. 3) Another Temple Building Extension Fund Raising effort is through “Imee Ooi Concert – Sound of Wisdom” on 1 August 2015, Saturday, 3.00pm at Istana Budaya. Sis Imee Ooi of “The Chant of Metta” fame as well as many other highly-praised musical works will be making a live appearance in her debut concert. A teacher, composer, producer, director and singer, Imee is serving the Dhamma with her extraordinary talent and voice. She is a Buddhist practitioner that adheres to the teachings of loving kindness, peace and harmony. Founder of IMM Musicworks in 1997, she has released more than 50 albums and has produced many musical works for many Buddhist societies and organizations. Her mission is in singing messages of peace, harmony and compassion or simply bringing healing sounds to her listeners through music. Tickets are now available in SJBA (at RM100, RM150, RM200, RM250 and RM350). You can now have the opportunity to support the development of local Buddhist musical talents and performance arts as well as contributing to the building extension of SJBA Vihara. 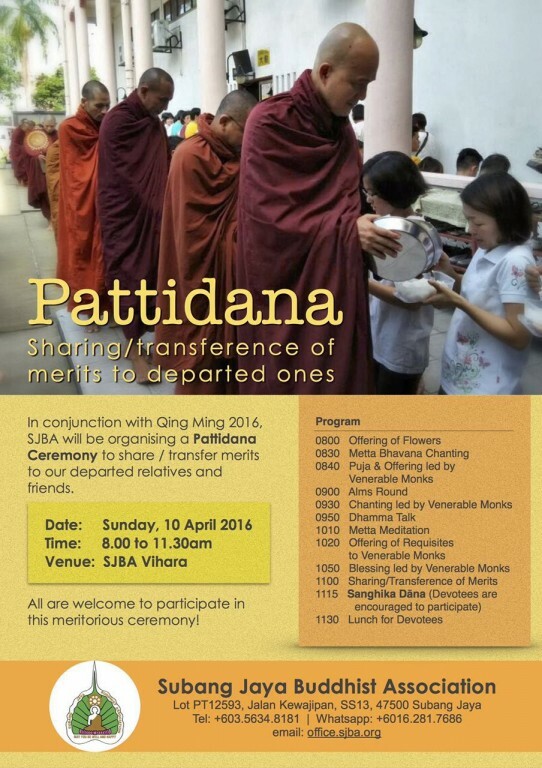 4) In conjunction with Qing Ming, SJBA is organising a Pattidana on 12 April 2015, Sunday, 8am to 11am to dedicate merits to the departed ones. Pattidana is for the benefit of those departed relatives and friends who may have been reborn in certain unfortunate state of existence. When they are aware that their relatives or friends have performed some meritorious deeds dedicated to them, they can be relieved of their suffering. When they rejoice repeatedly, their unhappy birth will be transformed to a happy one. It is the duty of relatives to perform these acts of merits for the departed ones. The Pattidana will start with the offering of flowers and lights at 8am, Metta Recitation, Buddha Puja, Dhamma Talk by Bhante Nyanaramsi, Dedication of Merits to Departed Ones. SJBA will charter a bus for this retreat. The bus will pick up yogis at SJBA on the 8 May, Friday, leaving SJBA 7.30am SHARP. Yogis are required to observe the 9 precepts during this Retreat. 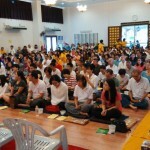 Those unable to take 9 precepts are to inform the organiser in advance and make own arrangement for light dinner. A contribution of RM150 per yogi is required to defray the running cost for meals, transportation & donation to the San Poh Temple for the usage of the premise. Individual donation to the temple is also welcome but optional. participants of the last Cameron Highlands Retreat) will be accepted for this Retreat, first-come-first-serve basis. 6) Our Puja Session in Mandarin (11.30am-12.30pm) will be off until 19 April 2015. 7) This Sunday’s Dhamma Talk in English (5 April, 10.00am) will be given by Venerable Dhammapala. Venerable. Dhammapala graduated in Pali and Buddhist Studies from the University of Kelaniya, Sri Lanka and received his Doctorate from the University of Hong Kong He has been lecturing in the University of Hong Kong and has presented a number of papers. 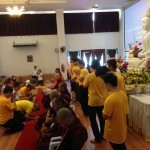 He is currently the Spritual Director of Buddhistdoor. Vice Chairman of the Hong Kong University Centre of Buddhist Studies Alumini Association and Director of a few Buddhist-based organisations. 1) SJBA is organizing the Introduction to Buddhism course from 6 March to 24 April 2015. The course will run for 8 consecutive Fridays from 8.30pm to 10.00pm and will be conducted by Uncle Vijaya, Dr. Chan Kah Yein and Datuk Charlie Chia. All are welcome. No pre-registration is required. Please contact Sis Lily at 03-56348181 for further details. For this Friday (20 March), the topic is “Guardian of our Spiritual Path” by Uncle Vijaya. On next Friday (27 March 2015), the topic is “Sowing Good Seeds for Lifetimes” by Uncle Vijaya. 3) Another Temple Building Extension Fund Raising effort is through “Imee Ooi Concert – Sound of Wisdom” on 1 August 2015, Saturday, 8.30pm at Istana Budaya. Sis Imee Ooi of “The Chant of Metta” fame as well as many other highly-praised musical works will be making a live appearance in her debut concert. A teacher, composer, producer, director and singer, Imee is serving the Dhamma with her extraordinary talent and voice. She is a Buddhist practitioner that adheres to the teachings of loving kindness, peace and harmony. Founder of IMM Musicworks in 1997, she has released more than 50 albums and has produced many musical works for many Buddhist societies and organizations. Her mission is in singing messages of peace, harmony and compassion or simply bringing healing sounds to her listeners through music. Tickets are now available in SJBA (at RM100, RM150, RM200, RM250 and RM300). You can now have the opportunity to support the development of local Buddhist musical talents and performance arts as well as contributing to the building extension of SJBA Vihara. 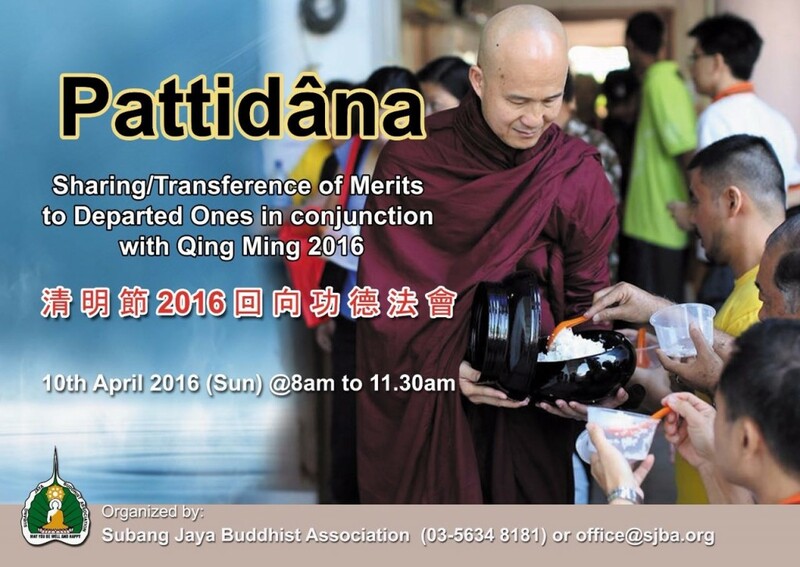 4) In conjunction with Qing Ming, SJBA is organising a Pattidana on 12 April 2015, 8am to 11am to dedicate merits to the departed ones. Pattidana is for the benefit of those departed relatives and friends who may have been reborn in certain unfortunate state of existence. When they are aware that their relatives or friends have performed some meritorious deeds dedicated to them, they can be relieved of their suffering. When they rejoice repeatedly, their unhappy birth will be transformed to a happy one. It is the duty of relatives to perform these acts of merits for the departed ones. The Pattidana will start with the offering of flowers and lights at 8am, Metta Recitation, Buddha Puja, Dhamma Talk by Bhante Nyanaramsi, Dedication of Merits to Departed Ones. 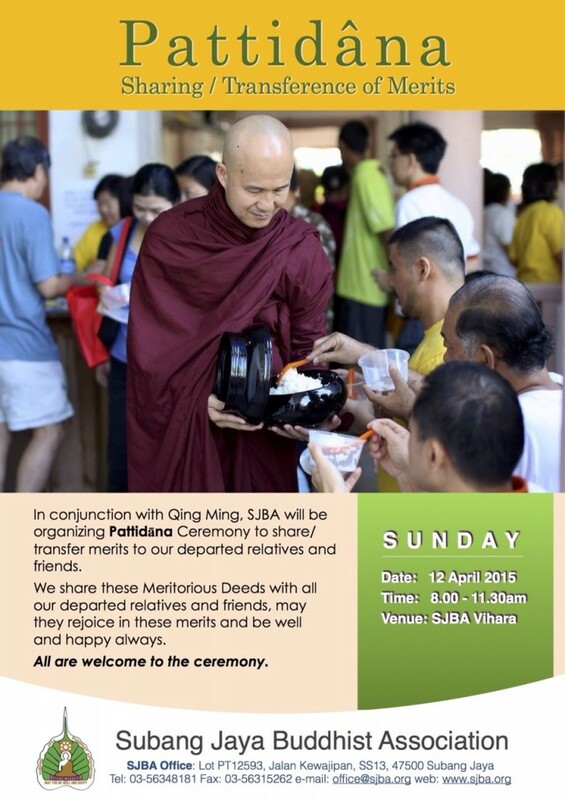 5) Our Puja Session in Mandarin (11.30am-12.30pm) will be off until 19 April 2015. 6) This Sunday’s Dhamma Talk in English (22 March, 10.00am) is on “Having Good Friends – Sutta Selection” by Bro Ananda Fong. Bro. 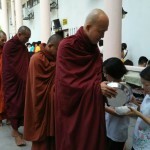 Ananda Fong is the former Deputy Principal of the Buddhist Institute Sunday Dhamma School (BISDS) at the Buddhist Maha Vihara (BMV), Brickfields, KL. 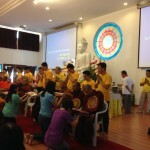 He is also the ex-Principal of Bandar Utama Buddhist Society (BUBS) Sunday Dhamma School, PJ. and President of BUBS. During his service in BISDS and BUBS, he was the co-organizer and co-facilitator of Dhamma School Teachers Training Programs. He has served as a facilitator/tutor in Dhamma Speakers Training programs, Diploma in Buddhism programs (Buddhist And Pali University (BAPU), Sri Lanka), and Nalanda Institute’s Certificate in Buddhist Studies program. He is currently the Honorary Secretary General of the Theravada Buddhist Council of Malaysia. 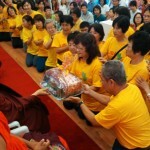 He gives Dhamma Sharings regularly at Buddhist organisations in the Klang Valley. 1) SJBA will organize another “Introduction to Buddhism Course” from 21 Feb to 11 Apr 2014 (every Friday), 8.30pm – 10.00pm at SJBA Shrine Hall, conducted by Uncle Vijaya, Bro Charlie Chia and Dr. Chan Kah Yein. All are welcome. For further information, please call Sis Lily at 03-56348181. 4) This Sunday’s (23/2/14) Dhamma Talk in Mandarin (at 11.30am) is on “The Eight Dhammas” by Sis Lim Chye Hong. 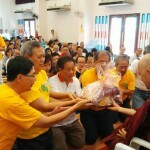 Sis Lim Chye Hong is a member of the SJBA Dhamma Committee. She helps regularly in meditation retreats. She has been a Secondary School teacher for over 20 years. 5) This morning’s (23/2/14) Dhamma Talk in English (at 10.00am) is on “The Universal Sine Curve” by Bro Charlie Chia. Bro. Charlie Chia is a much sought after Dhamma who focuses on practical Buddhist daily living, mind development, main Buddhist doctrines and motivational & positive thinking. He has conducted many Buddhist Courses, training camps and retreats. 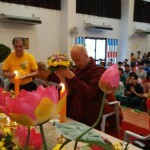 He is credited with the formation of many Buddhist organisations such as Buddhist Missionary Society Youth Section, Kota Tinggi Buddhist Society, Metta Lodge Johor Bahru and Kuantan Buddhist Association. He was a former President of Bandar Utama Buddhist Society , University of Technology Malaysia Buddhist Society, Buddhist Missionary Society Youth Section, Kuantan Buddhist Association and former Honorary Secretary of Buddhist Missionary Society Malaysia.